One of the classic questions in philosophy is “if a tree falls in the forest and nobody hears it, does it make any noise?”. I was reminded of that silently falling tree when I read of this cry from the US Bishops. Whatever noise they think they are making is barely relevant. Nobody is listening. 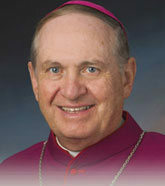 The U.S. bishops support a two-state solution to the Israeli-Palestinian conflict and oppose policies that undermine a just resolution to the conflict, such as Israel’s decision to re-route the separation wall through the Cremisan Valley, said the chairman of the bishops’ Committee on International Justice and Peace in a letter to Secretary of State John Kerry. Tags: bishops, father dave, livelihood. Filed under israel and palestine religious conflict by Father Dave on May 21st, 2013. Comment. It’s hard not to feel a little cynical when you read this report. As an Anglican myself I can testify to the fact that our church has a sad history of making insipid statements on critical issues and this pronouncement from the Bishop of Bath appears to be sadly consistent with that history. The Bishop’s statement seems to imply that all that stands in the way of peace is a little more goodwill between Israelis and Palestinians – a naive view that overlooks completely the way in which successive Israeli and US governments have sabotaged every potential peace plan for almost a generation! It would be nice if goodwill were sufficient to establish a long-term peace between Israel and Palestine. Unfortunately it also requires a willingness on the part of the politicians involved to make genuine concessions – something that the Netanyahu government has shown no interest in doing. The Bishop of Bath & Wells has spoken of his hope for long-term peace in the Holy Land following a recent trip to the region. Addressing the House of Lords, Bishop Peter Price said civil society was “key to unlocking peace” between Israel and Palestine. “Peace is the prize that all must seek for the welfare of generations of children growing up against the backdrop of uncertainty and fear,” he said. Bishop Price made the visit as part of a delegation led by Christian Aid that also included the Bishop of Worcester. He said the recent ceasefire between Israel and Gaza offered “hope for some measure of peace” and that US President Barack Obama’s forthcoming visit could open up non-violent solutions. “What is hopeful is an increasing sense among the young that this situation cannot last forever,” he said. During his visit, Bishop Price met Palestinian children taking part in a post-conflict trauma group. He was moved by their dreams to become doctors, lawyers and teachers when they grow up. “What kind of humanity leaves behind a child – any child – unable to hold onto its future?” he said. “I am not seeking to make a partisan point here but a humanitarian one. An evening of prayer and meditation is being held at Lady Chapel at Wells Cathedral next Tuesday, during which the bishop will talk about his visit. The cathedral will host a Christian Aid photography exhibition until 3 March displaying work by young people in Gaza involved in campaigning against child labour. Tags: barack obama, israel and palestine conflict, netanyahu government. Filed under israel and palestine articles, israel and palestine religious conflict by Father Dave on Feb 22nd, 2013. 2 Comments. 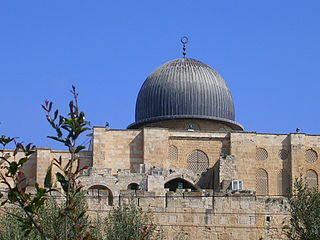 Al-Aqsa Mosque (‘the Farthest Mosque’) is the third holiest site in Islam and is located in the Old City of Jerusalem. Having Jewish settlers, backed by the Israeli Defense Forces, violating this holy sanctuary is an act of brazen aggression that was surely calculated to raise the ire of Palestinian Muslims and the entire Muslim world! What is Israel playing at? Are they trying to start another open conflagration? How would the State of Israel react if Palestinian Muslims stormed the ‘Wailing Wall’ and tried to defile it? I expect that we will hear cries of outrage reverberating around the Muslim world. I fear that all we will hear from ‘the West’ is a deafening silence. This is surely the perfect opportunity for the US President to make a strong statement that shows he is genuinely concerned for the people of Palestine and for Muslim religious sensitivities, but what would it take to make this happen? A group of illegal Israeli settlers trespassed into Al-Aqsa Sanctuary again on Sunday, flanked by Israeli soldiers. The extremist settlers stormed the sanctified area in small groups, some practicing Talmudic rituals in the courtyard of the Al-Aqsa Sanctuary. This latest incident reflects the escalation of attacks which violate Palestinian legal rights over the holy Sanctuary. Since the beginning of the year, there has been an alarming rise in the number of occasions Israeli forces, settlers and politicians have stormed the Al-Aqsa Sanctuary. Following the public call by main stream Israeli Politician like Moshe Feiglin and Jeremy Gimpel, for the destruction of al-Aqsa Sanctuary, Israeli trespassers have become bolder and more audacious. A recent parade by over a hundred female Israeli soldiers at the Sanctuary was an unspoken threat to Palestinians. In continuing acts of aggression, scores of settlers accompanied by over a hundred soldiers have entered the Al-Aqsa Sanctuary. The Israeli state appears to be aiding and abetting extreme elements from Israeli society in violating the Palestinian rights over the land. Sheikh Raed Salah, the leader of the Islamic movement from the pre-1948 Palestine, warned that Israel is trying to isolate Al-Aqsa Sanctuary from the Palestinians. Other steps have included demolishing the facades of a number of historical buildings in the Buraq Square adjoining the Aqsa Sanctuary. The Palestinians are calling for solidarity from the international community in defending the holy sanctuary. Friends of Al-Aqsa is deeply concerned about these reports and this latest incident is a reminder of the clear and present danger the Al-Aqsa sanctuary faces. Being mindful of this aggression is the first step to preventing further trespasses and graver dangers posed to Al-Aqsa sanctuary by Israelis intent on its destruction. Now is the time for action – by lobbying your local MP and encouraging him/her to raise the issue of attacks on the Al-Aqsa sanctuary in Parliament. Tags: al aqsa mosque, israel, israel and palestine religion, israel and palestine religious conflict, israeli defense forces, palestinian muslims. Filed under Israel and Palestine, israel and palestine articles, israel and palestine religious conflict by Father Dave on Feb 12th, 2013. Comment.